But that's not all -- Kiwi Lane also has a prize up for grabs for one random winner. 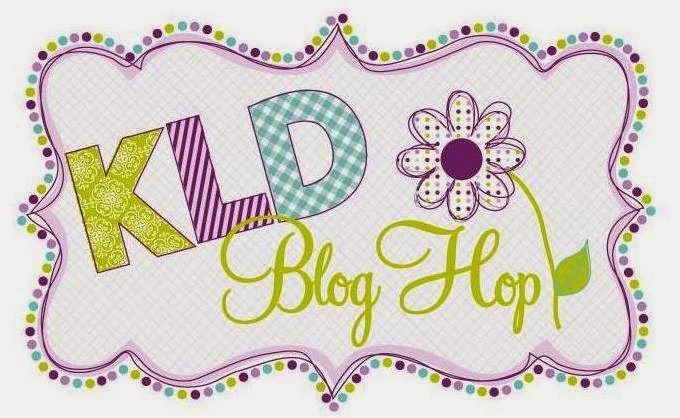 You can enter by leaving a comment at every blog in the blog hop (including the Kiwi Lane blog). 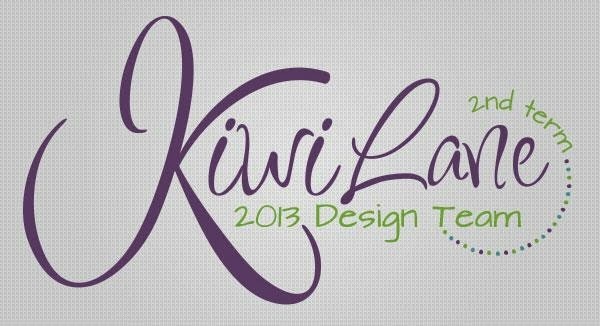 One random winner will win a $25 gift certificate to the Kiwi Lane shop! The winner will be announced on the Kiwi Lane blog on Thursday, May 8. So soft and sweet -- I just love it. I used up a stash of My Mind's Eye papers that I've been hanging onto forever. They were just so beautiful and I haven't been able to cut into them. 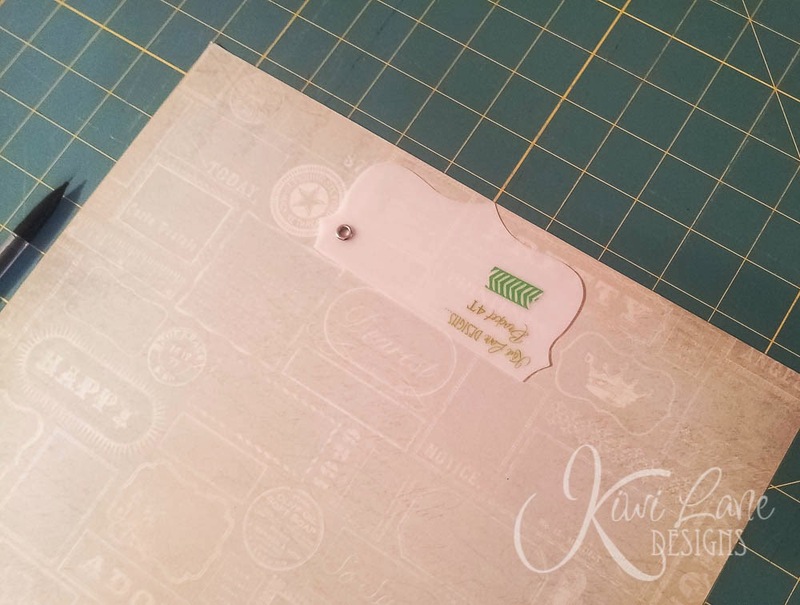 Luckily, the Kiwi Lane templates make that job easy since you get layer all those beautiful papers together. Then, I connected the brackets with a straight line, using a border template. I made the ribbon flower with some ribbon from my stash and a Gluber. Love those Glubers for making custom embellishments! Subscribe to my blog (in the left nav) and leave a comment on this post telling me you're all signed up. Like my Facebook page and leave me a quick post there telling me you did it. 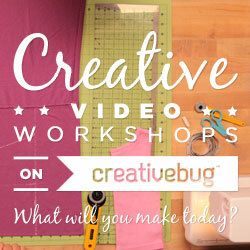 Good luck and stay crafty! Updated 5/8/14: Congratulations to Connie Wallenbrock -- you are the winner of the Kiwi Lane Tiny Brackets templates. 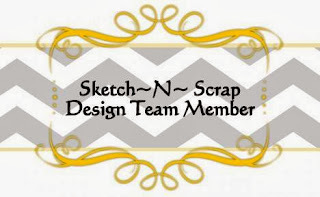 Email me at MightyCraftyDOTmeATgmail.com to claim your prize! I knew I recognized that paper! I have hoarded mine as well, you did a fantastic job with this layout! 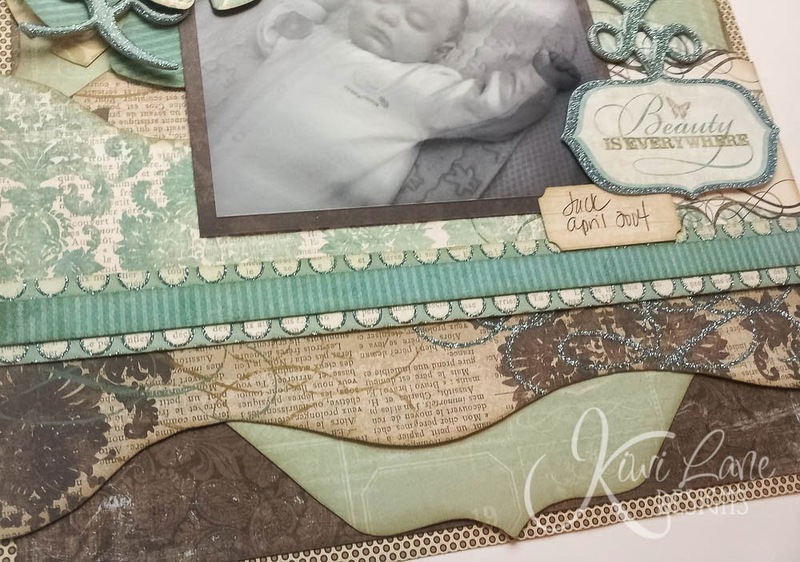 The layering is beautiful and the paper is beautiful! 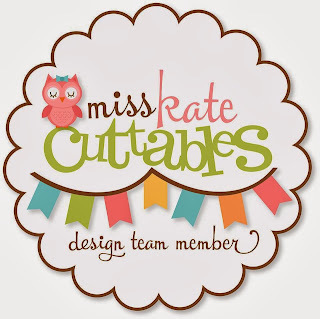 I am now in love with Kiwi Lane Designer templates! I am a new follower and "liked" your fb page, too! thanks for the hop! 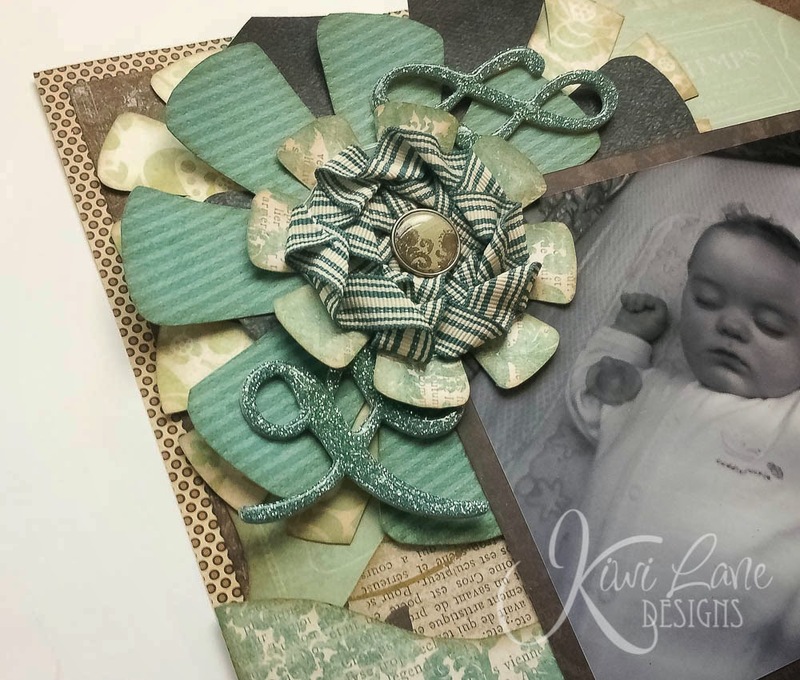 I love the layout and really love the ribbon flower! I love that I have the EXACT same MME paper hoarded in my stash! At least now I have an idea how to use it...:) I have followed you for awhile now because you are awesome!!! 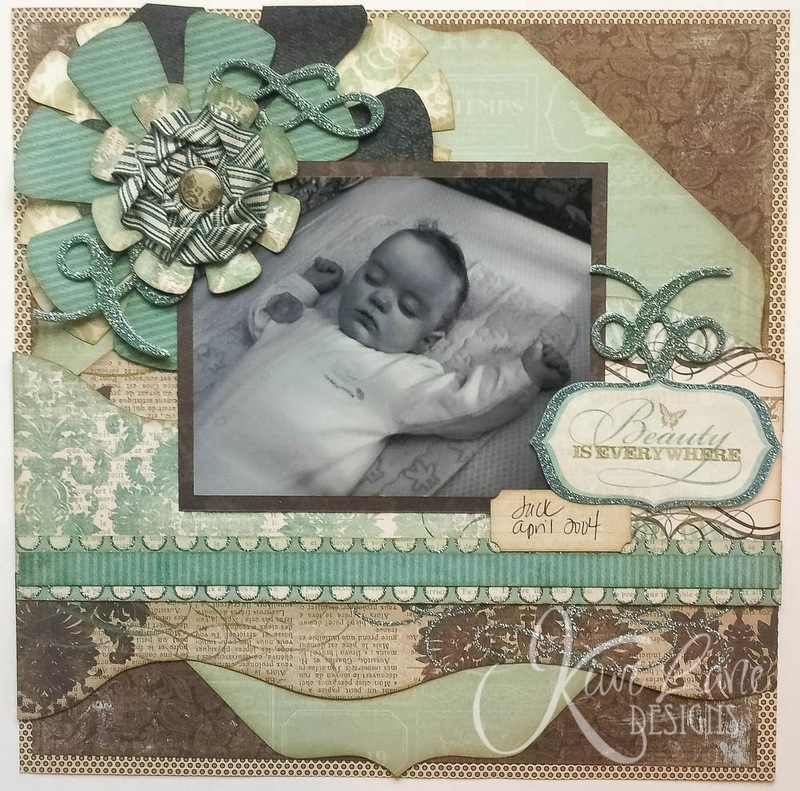 Beautiful layout, Lissa! I love the cluster of layered flowers in the corner!! I've been hoarding this collection of paper, too, and just started using it a few months ago- glad I'm not the only one who was collecting their paper instead of using it! ;) And I also see that we share a love for Glubers- by far, one of the most handy adhesive inventions ever! Your layout is so beautiful! I love the soft colors you used. I never thought of connecting the templates like you did. Great idea! I love the tiny brackets. Your layout came out so pretty. very pretty. Has a vintage feel to it. I follow your posts thru e-mail. Very pretty colors and love the flower you created. 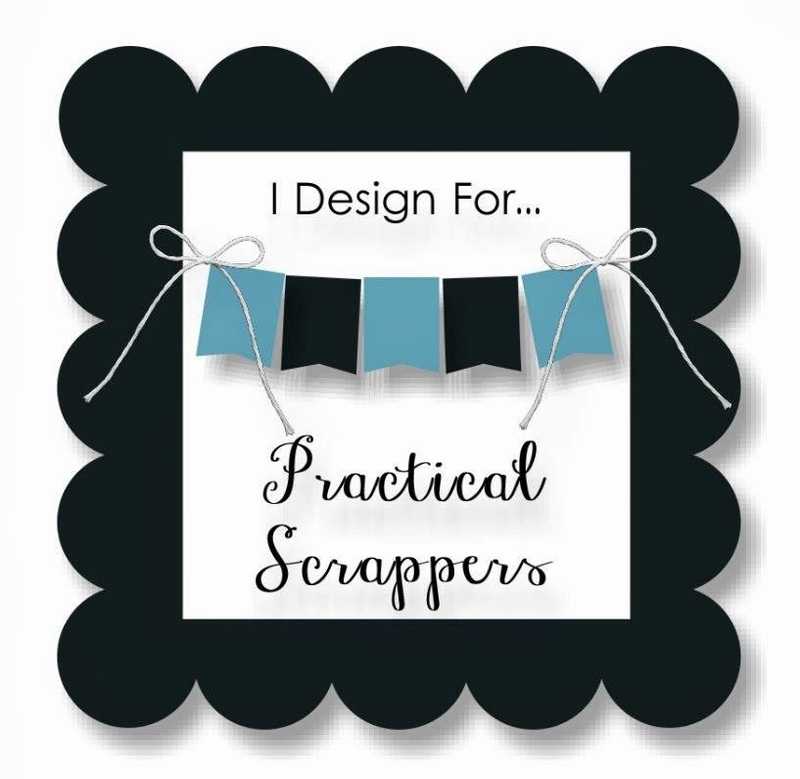 Love the way you used the templates! Love this layout. Like the vintage look. 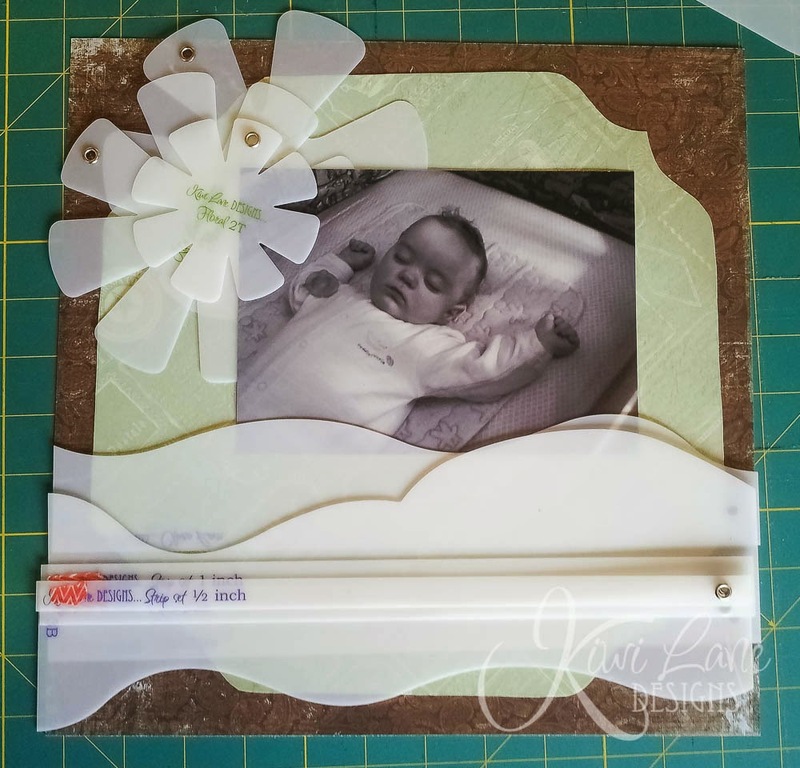 Beautiful baby boy and layout! Thanks for sharing; it was fun being in the hop with you! I'm new to the kiwi lane templets and so glad I found them! I really like your layout and the flower is so cute! I also liked your Facebook page. Thanks for sharing! Such a lovely page. Those colors are incredible together. I am already a subscriber. 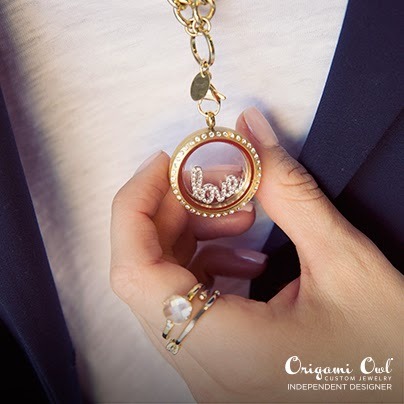 Thanks for the inspiration, love the layering. Beautiful Picture! 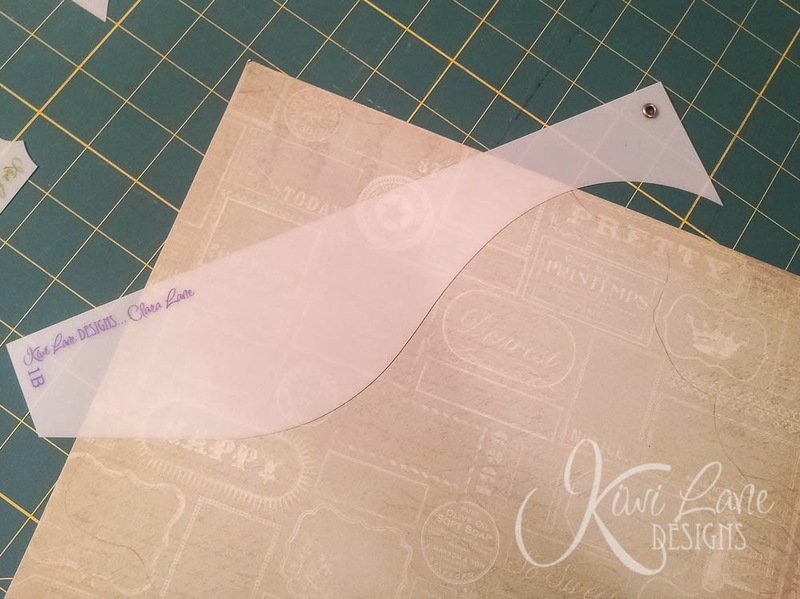 Love how you used the template to cut the paper into a shape. thanks! I liked you on Facebook and am following your blog. What a sweet, sweet layout! Every bit of it works so perfectly! The layering was my favorite part. Thanks for breaking down all the details. Love this layout and the techniques you used. oh, I liked your FB page too. Loved your layout. I liked you on facebook. Oh Lissa, it's beautiful. I love the color combo. Beautiful papers. I can see why you hung onto them for so long! Gorgeous baby, too! 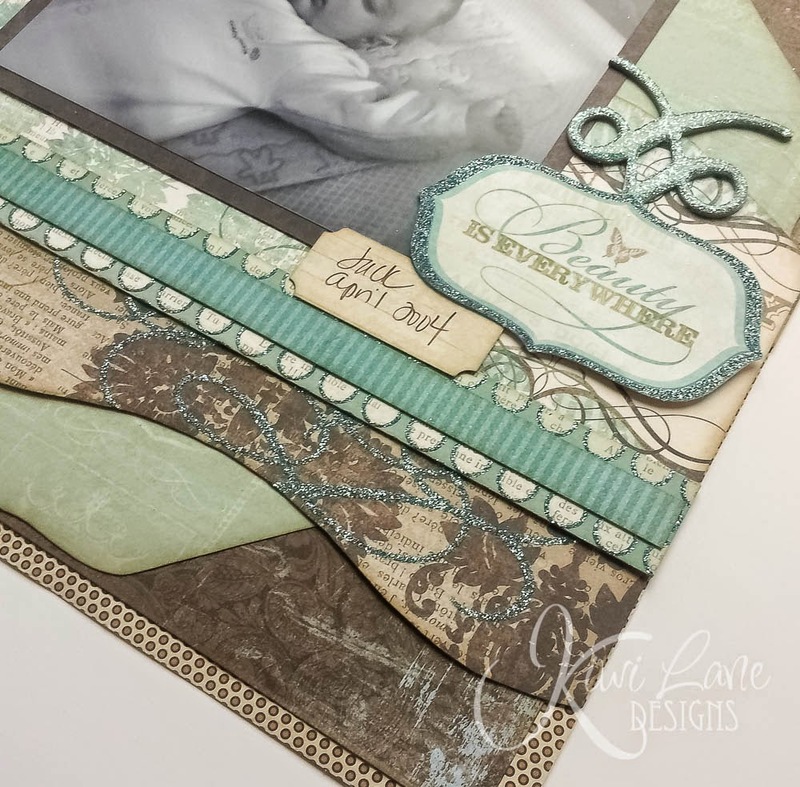 BEAUTIFUL page...beautiful baby boy :) Your color choice is perfect! Gorgeous layout! I love the flowers and colors, thanks for sharing. that is just gorgeous. i love the colors, great photo, so cute!! !